Notice carefully then that the church – that’s US – is charged by God with “honoring” widows who are all alone, having no one to help them. Abuse victims are almost always “all alone.” What does it mean to “honor” such a woman? It means to render justice to them, and in particular it means to help them financially if necessary. You may not get that from the word “honor” at first reading, but a study of how the word is used in the New Testament, especially in Paul’s epistles, will prove to you that such is the case. See, for example, 1 Timothy 5:17. If you will take your concordance or Bible software program and do a search of the word widow/widows, you will be amazed at how many times the people of God are charged with protecting and caring for the widow. God promises to bless us when we render care and justice to her, and to remove His blessing from us when we fail to do so. James says that visiting orphans and widows in their affliction is the heart of true religion. So, how’s your heart? How does your religion measure up to this test? 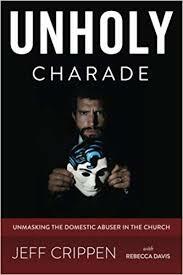 Do abuse victims receive justice and protection and provision in your church? Many evangelical, Bible-believing churches flunk this test, as the repeated stories of Christian victims of abuse will testify. To those pastors and churches and Christians who do heed the Lord’s call, may the Lord make His face shine upon you. You are rare. As a survivor of 25+ years of DV, and now as an advocate for other victims, I have frequently regarded these verses in the exact same way they are presented here. Thank you for speaking to this subject, and for the work you do in advocating for others. And thank you to you as well, A_Phoenix! I survived over 35 years of living with a wolf in sheep’s clothing who is a narcissistic, sociopath and who was abusive to me in EVERY way possible. He continued “serving the Lord” while he was living a completely ungodly, double life. His conscience was seared if he ever had one. He also continues to “serve the Lord” to this day in spite of the fact that he tried to kill me by strangulation. THANK GOD the police stopped him! In our divorce settlement, I received a little over $400/month and have been struggling financially ever since. “Off the record,” my ex promised to help me financially in addition to that payment, but he never followed through. I was not surprised. My ex was never a husband as the Bible defines one. I do feel like a widow in that sense, but Jesus is my true husband. I have been serving the Lord for over 30 years and continue to minister to emotionally and spiritually wounded, abuse survivors and others. I trust the Lord on a daily basis to provide for my needs. However, many people in the Body of Christ abandoned me. They knew I needed help and turned away. I wish they could read this post and understand how painful that was for me. I THANK GOD that He provides donations to the ministry from a few genuine Christians on a regular basis. Without those donations, I could be living in a homeless shelter or under a bridge somewhere. My lawyer was afraid that would be my future, but our Most High God is faithful and He has worked many financial miracles on my behalf. I know He will always take care of me. PRAISE THE LORD! Churches that ignore and neglect needs like yours are going to give account to the Lord and it won’t go well for them. Widows and orphans are particular objects of His care and anyone who oppresses or neglects them is committing grievous sin. In fact it is most probably that such a person is no Christian at all. Praying Lady, I am so very sorry the people in your old church hurt you so badly by the way they treated you in your time of incredible need. They certainly did not have the heart of Christ and for that they will be judged. I suppose these nominal “Christians” have never read the parable of the good Samaritan. Reading this angered me on your behalf. People will reap what they sow. Someday those people will be put in a very bad place and there will be no one with compassion to help them. Yes, the Lord really is our true husband. He has always provided for me and given me strength and discernment when needed. I can honestly say that I have felt like a widow for the past thirty of thirty five years I have been married to the abuser. I don’t have a relationship with him as he is too dangerous. I am nice and polite when he is around and that is about it. He threatened if I leave he will not pay my healthcare, and he said it in a snarling mean tone of voice. I am somewhat disabled from a car accident. I already checked with a lawyer about disability and I do not qualify. I just recently had a rather large inheritance “stolen” from me by greedy relatives. I’m sure the devil was laughing at me and rubbing his hands together in glee with that one! I am waiting patiently for my “out” for permanent peace. I am eagerly waiting for the final trumpet to blow!! Thank you for your encouraging comment, walkinginlight. It was not just people in the church I attended who abandoned me, but also other “Christians” who knew what happened and that I needed help. It is just unbelievable that the majority of people who call themselves Christians are so apathetic and complacent when it comes to doing something to help victims of abuse. Financial issues were part of what kept me married to my ex for so long, but it was mostly the fact that the Lord told me to wait. Our Most High God knew the perfect timing for me to be released from that marriage. It was hard to wait, but God gave me the grace to trust Him. I am praying for you to be set completely free from the abuser and for you to be kept safe until that happens. In the meantime, I pray that the peace of God that surpasses understanding will fill your heart, mind and spirit. Thank you so very much for praying for me Praying Lady. I will keep you posted with what transpires for me. The anti-husband has worked overseas for the last fifteen years. It was glorious the peace I had. Then he came home a year and a half ago. I did not think he would stay home for so long. He has been very brutal to me with his mouth and put me up in the emergency room one night with my blood pressure 225/125! they had to give me medicine in the IV to bring it down. Every time he came near me in the ER room the nurse would see it going back up again. I had to politely ask him to leave. People who say mental/emotional abuse is not as bad as physical abuse are ignorant ( I was physically abused as a child by a angry father). So your prayers are coveted by me. I just want some permanent peace in with what ever life the Lord has left for me. I could have never have made it this long without the Lord. Philippians 4:13 is one of my favorite scriptures. Blessings to everyone here. I also remain ‘here’ 40 plus years. I’ve been widowed for many years — abandoned by the church, adult children and many others. God has been very gracious and faithful in sustaining me emotionally and physically. I had been weakened but the Lord allowed me to become acquainted with the untwisting of Scriptures via Pastor Crippen. Thank you for revealing the truth of what defines a ‘widow’.